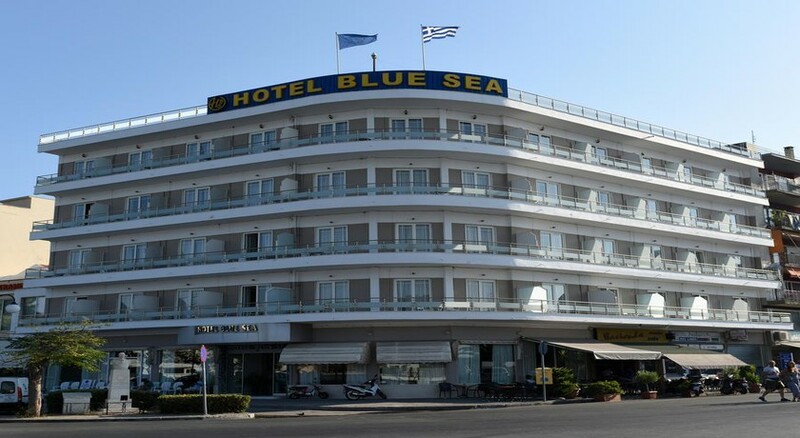 Hotel blue sea Lesvos is a three-star family friendly property located in one of the most beautiful areas of Mytilene. 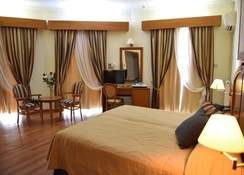 The hotel features excellently sound proofed rooms with private balconies and free parking. Located next to the sea, the hotel offers breath-taking views of the Aegean Sea and is an oasis of comfort. The guestrooms in the hotel are spacious and comfortable, and come with all the amenities required to have a wonderful holiday in Greece. The onsite restaurant and bar serve a wide variety of cuisines from around the world. Around the vicinity of the hotel, there are several restaurants that serve excellent local cuisine. Located in the heart of Mytilene, Hotel Blue Sea Lesvos offers breath-taking views of the Aegean Sea. The hotel is only 250m from the port of Mytilene. The Fikiotripa Lighthouse is only 1.1km from the hotel’s doorstep. Here you can enjoy amazing views of the sea and indulge in water-sports. The Mytilene International Airport is only 8.5km away, making it easy for guests to reach the hotel, and board their flights back on time. The 61 guestrooms at Hotel Blue Sea Lesvos are spacious, luxurious and comfortable. They are decorated with contemporary materials. 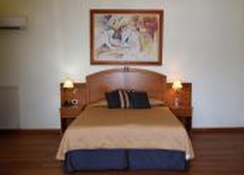 All the rooms are furnished with the necessary amenities required to have a satisfying and comfortable stay. The rooms offer spectacular views of the sun, sand and sea. Facilities in the rooms include smart, functional furnishings, air conditioning, cable TV, direct dial telephones and private balconies. The onsite restaurant and bar serve authentic local as well as continental dishes. The breakfast buffet is worth mentioning, and includes a full English breakfast among other delicacies. Guests can also have their meals at the hotel’s café as well. The bar serves a wide range of cocktails as well as beers. The Hotel Blue Sea Lesvos features banquet halls that can seat up to 200 people, enabling guests to hold small functions or business conferences. There are several restaurants, bars, pubs and tourist attractions within the vicinity of the hotel. Attractions such as Mytilene Port, Fikiotripa Lighthouse are barely one kilometre from the hotel’s doorstep. Being close to the beach, guests of the hotel can indulge and enjoy numerous water-sports including snorkelling, scuba diving, parasailing, etc.